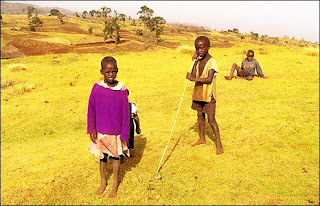 Michelle McFatter's photograph of girl wearing a purple jumper, herding cattle with other children is the first in a series of shots of the colour purple in Africa sent in by BBC News website readers. 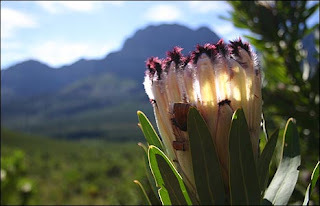 Dennis Cunningham took this photo of a Protea flower - South Africa's national flower - while on a visit to Stellenbosch in the Cape. Barry Perks took this picture of a young woman hanging out cloth that had just been dyed in Mali. Ben Miller took this shot while travelling round the East African country of Tanzania with his wife, Melissa. 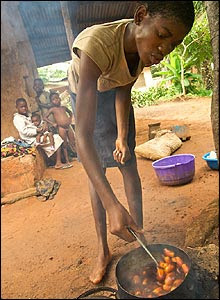 Terry Sebastian was in Nigeria working on HIV/Aids projects when he met this teenager - she has cared for her entire family since her parents passed away. 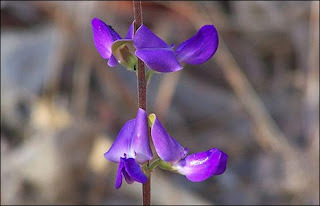 Behind her sits a purple basin. 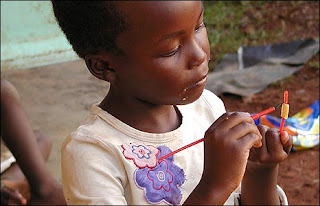 David Steggall snapped this Kenyan girl, wearing a top with a purple flower on it, without her even noticing - she was too busy painting. 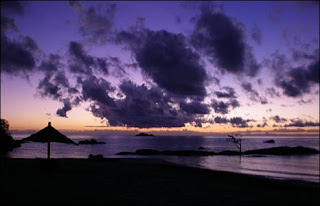 This magical shot of clouds drifting through the sky over Lake Malawi was taken by Janine Jefferies. 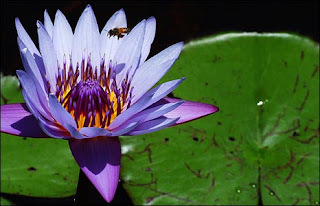 Whilst on Tanzania's Mafia Island, Leejiah Dorward came across a bee visiting one of the striking flowering lily pads. 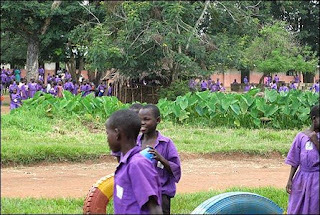 These schoolchildren dressed smartly in purple uniforms were snapped by Kristen Mbabazi in eastern Uganda.